One of the most important and famous attraction of Paphos is the Castle which is located right on the right far edge of Paphos Harbour. 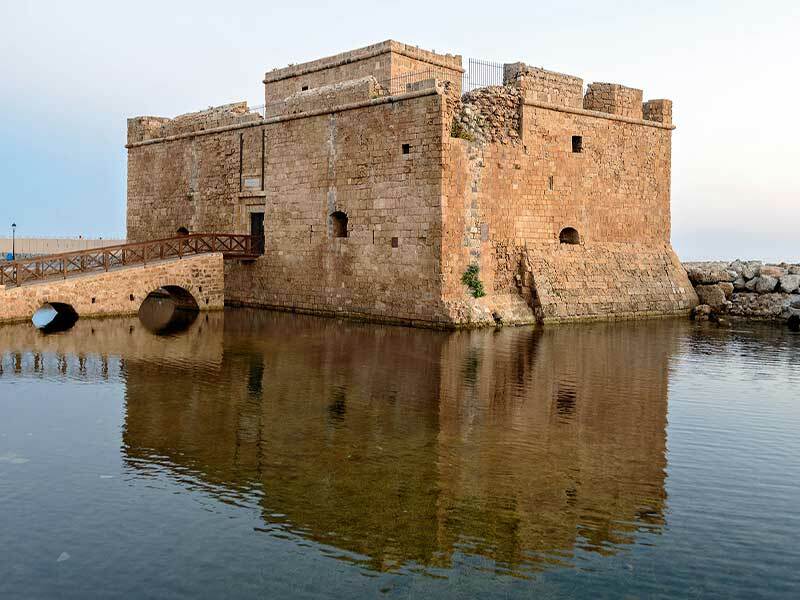 Paphos Castle has been constructed during the Byzantine fort so that it can protect the city from the enemies. During 1570, Venetians destroyed the castle but it was rebuild by Ottomans who capture the island. Paphos Castle has also been used as a jail, warehouse, etc after British occupation of the island. Nowadays, Paphos Castle is used as a backdrop for many festivals, musicals and other events which take place outside the castle.Many excavations have been completed to find out the history of the castle. Nowadays it has become one of the most popular destinations of tourists who are looking to find more about the history behind the castle.If you are looking to find information about the castle and you are looking for transportation towards castle, then to not hesitate to use our taxi service. We can arrange your taxi service to the castle where you can discover its history and learn more information about it. You can also enter the castle and enjoy the view from the roof of the castle where the troops of the defensive team where standing ready to attack the enemies. During your visit at the castle you can also learn the different traps and other methods the people were using to avoid any enemies who manage to get inside the castle. There are also places where the defensive army used to hide before they start the fight. It is sure one of the very interesting attractions to visit.